Family sees father murdered in road rage incident in Magnolia. 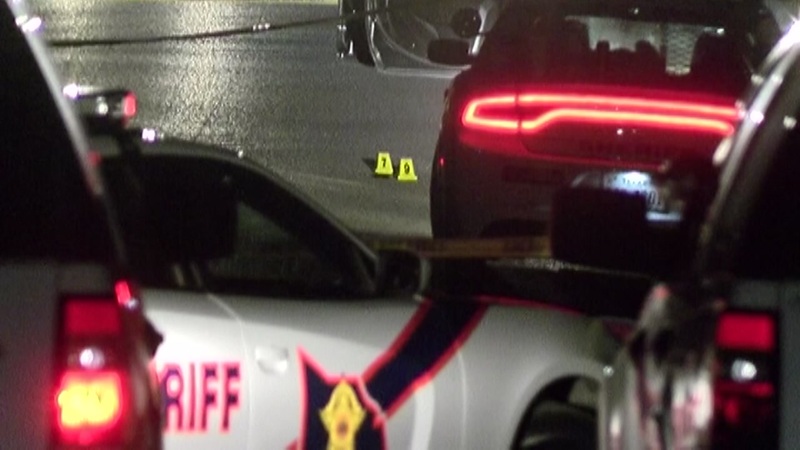 MAGNOLIA, Texas (KTRK) -- Authorities have charged a suspect with murder in connection to Saturday night's road rage shooting. According to the Montgomery County Sheriff's Office, 21-year-old Christopher Delacruz and Jose Augusto Lozada were involved in an argument at the intersection of Aberdeen Drive and Highland Boulevard. Delacruz followed Lozada, 56, to his residence in the 29400 block of Aberdeen Drive, deputies said. Deputies are trying to figure out what happened in a road rage shooting that left one man dead. When authorities arrived just before 10 p.m., they found Lozada with gunshot wounds to his head and torso. Heather Lozado, the victim's daughter-in-law, came outside and saw the shooting happen. "I really did think he was going to kill us all," she said. Heather said Delacruz aimed the gun at her husband who was distraught after seeing his father killed. "As soon as I heard the first shot, I knew he was gone. And then, I heard another one and another one," she said. She said her father-in-law had just finished a hard day of work at a home nearby and was returning from a gas station just blocks away. She said neither vehicle involved in the accident had major damage. Now, her family is struggling to raise money to bury Jose. You can help by donating to their GoFundMe account. Delacruz was arrested and booked into the Montgomery County jail on murder charges.